Sometimes it seems hard to get enough veggies on a given day. 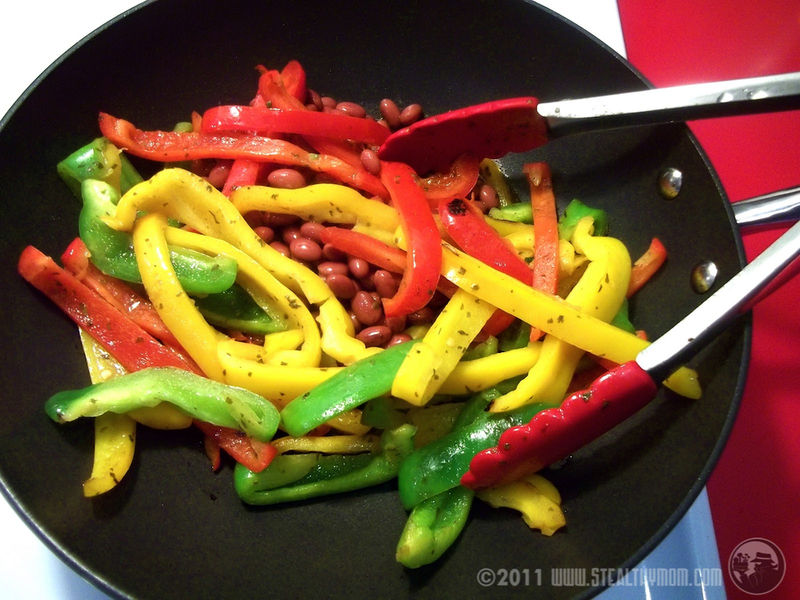 This dish will take care of several servings plus add the goodness of beans. The beans might get a bit mushy, like a refried bean. If you prefer them to stay whole gently place them under the sauteed peppers to warm them up. Serve with tortillas, and add grated cheese or sour cream if you please.